Hello friends, it’s Andy Gesner and the staff of HIP Video Promo, here to spread the word about an intriguing new clip by the Fruit Bats — and its suprisingly uplifting treatment of a serious subject. We all know the tradition of the New Orleans “jazz” funeral and the philosophy that undergirds it: services ought not to be a time for despair, but rather a celebration of a life well-lived. Eric Johnson of the Fruit Bats has taken that idea to its logical extreme in a clip that gives a genuine Viking send-off to a beloved member of a small church congregation. It’s only a three-minute clip; nonetheless, the directors in the General Assembly somehow manage to paint a vivid portrait of the deceased, and make the response to his passing feel wholly cathartic. Johnson and the Fruit Bats (or a strangely modified version thereof) are the house band in the chapel, and they perform “The Ruminant Band” with the perfect balance of gravity and verve. But that’s nothing unusual for Eric Johnson — he’s been walking that fine line with skill for the better part of a decade. A brilliant guitarist, Johnson has added six-string pyrotechnics to recordings by Vetiver and The Shins; he remains a full member of James Mercer’s legendary band. Johnson shares with Mercer a knack for acrobatic melodies and a commitment to tight song construction, but as he’s demonstrated on the Fruit Bats albums, he’s very much his own man, and one with a distinct artistic sensibility. Spelled In Bones, his 2005 release, became a stealth favorite among fans of adventurous pop music — and occasionally incendiary guitar work. 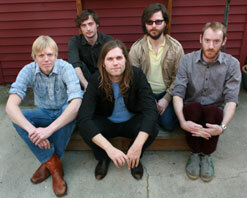 With The Ruminant Band, Johnson and the Fruit Bats are ready to take their turn in the spotlight. Critics are already raving: Drowned In Sound calls the album “triumphant”, Pitchforktestifies to its rewarding qualities, and the Onion raves about Johnson’s “uncomplicated, easygoing success”. The title track of The Ruminant Band showcases Fruit Bats at their most effective: a soaring, instantly memorable melody, energetic accompaniment, and a compulsively-hummable release punctuated by a scalding guitar solo. As always, Johnson’s lyrics are thoughtful and probing, and his vocal performance radiates both compassion and intelligence. A sterling concert performer and a stagelight veteran, Johnson looks comfortable beside the pulpit in the clip for “The Ruminant Band”. As the Fruit Bats frontman sings, a stream of friends and relations takes to the lectern next to the coffin. Each successive eulogy brings the deceased into sharper focus: we’re shown his boxing gloves, his book (titled “The Ruminative Man”), his portrait in oil. By the end of the service, the members of the congregation are on their feet, laughing and hollering, praising a man who, through the deft camera-work and editing of the General Assembly, has come alive in our imaginations. We aren’t even surprised when the parishioners light the coffin on fire and send it off to the cemetery atop a truck: it’s a fitting conclusion to a life so dramatic, and colorful, and meaningful. 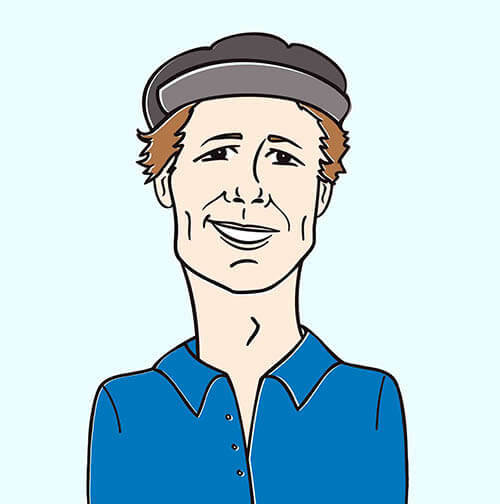 Big props to Sub Pop for bringing us this must-see new video.If you need more info, call Andy Gesner at 732-613-1779 or e-mail us at HIPVideo@aol.com. You can also visit www.SubPop.com or www.FruitBatsMusic.com to find out more about Fruit Bats.